Last week saw the meeting of world leaders, members of civil society and industry experts from both the private and public sector gather to discuss the growing issue of climate change. The 2014 UN Climate Summit in New York aimed to mobilize action and urge decision makers to act against climate change. Experts have linked climate change to future new security challenges such as water scarcity. Access to clean fresh water is looking to decline and reports from the UN suggest that by 2025 1.8 billion people could be living in countries or regions with absolute water scarcity. This is likely to affect regions that depend heavily on agriculture and will heavily impact global food production. Sub- Saharan Africa, a region highly reliant on agriculture is predicted to be especially at risk. Facing such predictions Secretary-General Ban Ki- Moon urged that we need “all hands on deck” to deal with this monumental task. People from all sectors gathered to pledge their support to a more sustainable future, including actor Leonardo DiCaprio who urged industries and governments to take action. The role of the developed countries in causing climate change was addressed, with both France and Germany pledging 1 billion US dollars to the Green Climate Fund, which aims to provide assistance to developing countries in countering climate change. 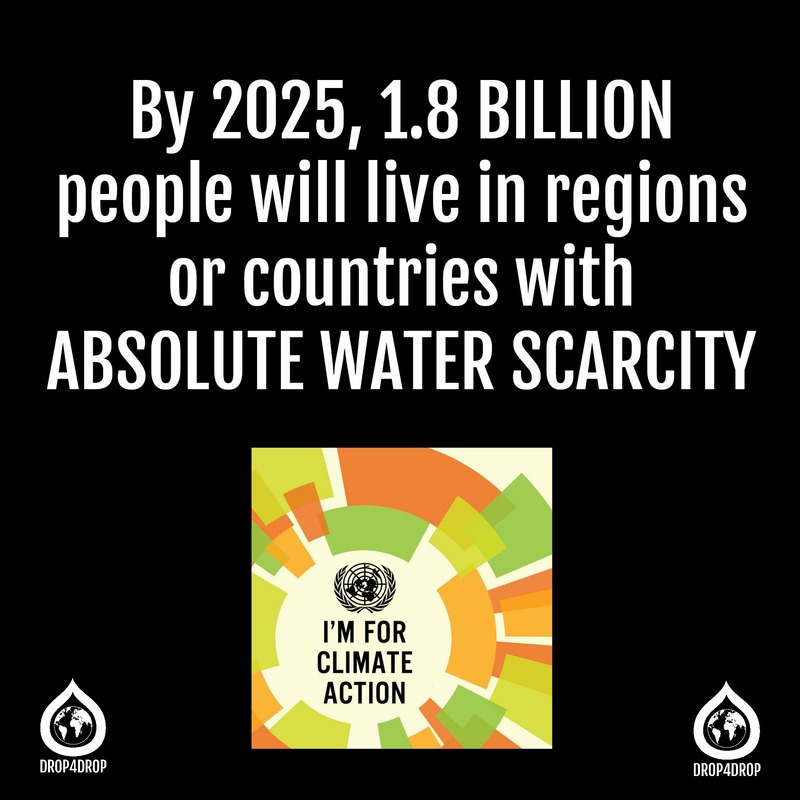 Water scarcity is an issue that will impact both industry and also the development of individuals in many countries. Fresh water only counts for 2.5% of the world’s water, with remaining 75.5% containing salt. This delicate balance can be easily disturbed by climate change. Water is instrumental to food production, economic development and poverty reduction which all look to suffer unless there is a shift towards a low carbon economy. At the summit, focus was placed on the role of business in moving towards curbing climate change, echoing a sentiment felt among many people. Two days before the summit, thousands marched through the streets of New York to demand a more sustainable future. This march was also carried out in many other countries with 40,000 people marching through London. Further progress was made at the summit with heads of large corporations taking part in a private sector forum lunch in which they discussed carbon pricing and sustainable economies. Furthermore, 40 corporations including Kellogg’s and Walmart signed a pledge to fight climate change. Climate change is universal problem which requires all sectors to recognise their role in perpetuating the cycle of abuse and also their ability to make change. The summit continued a growing discussion needed to create a universal climate agreement at the UN Framework Convention on climate change in 2015. These actions are not enough to halt climate change yet; however, the summit marks a meaningful step towards a more sustainable future for all.